Memory foam offers optimum support for your spine and joints. It moulds in the shape of your body for maximum support and comfort when you sleep. This material is sensitive to your temperature and weight and aids your blood circulation. It was initially designed by NASA. Delightfully accommodating due to its abundance of exceptional materials, the Balmoral Pocket Sprung Memory Foam Mattress offers virtually all sleepers a superb night’s sleep. The Balmoral Pocket Sprung Memory Foam Mattress adheres to an innovative design that makes fantastic use of sublime foams, fillings and enriching additions. 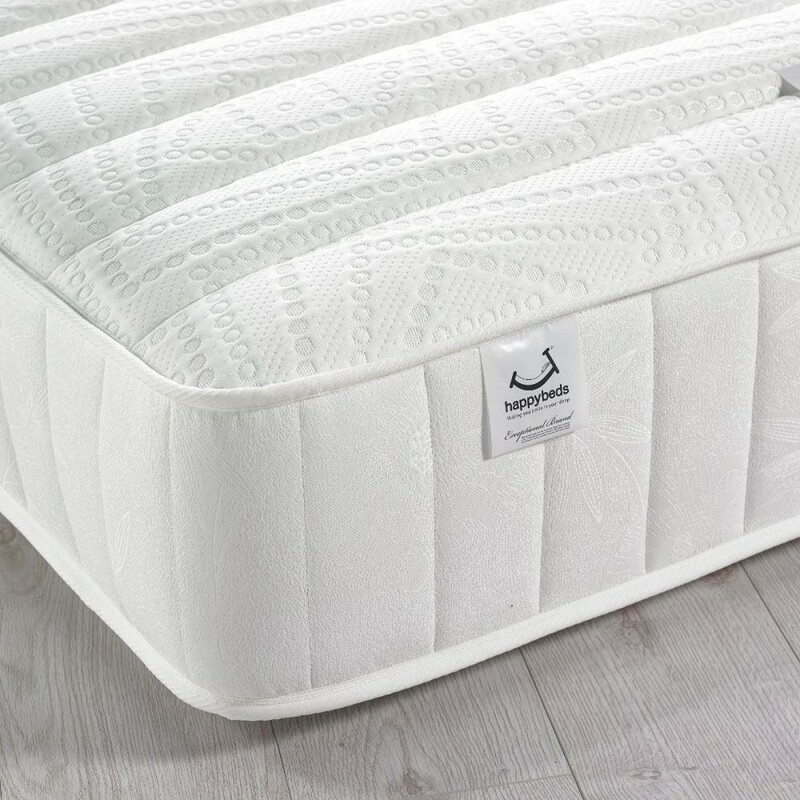 As well as being filled with durable and cosy materials, the Balmoral Reflex and Memory Foam Mattress features thick layers of memory foam and reflex foam. The former contours to sleeper’s bodies, retains heat and grants fantastic spinal and joint support, whereas the latter makes the Balmoral Reflex and Memory Foam Mattress rather firm and sturdy. The mattress is all the more charmingly comfortable when considering the padded and pattern top. The Balmoral Pocket Sprung Memory Foam Mattress isn’t filled with conventional springs as it utilises an incredibly high count of individually nested pocket springs, making it a sublime pocket sprung mattress. These independently moving springs accommodate separate sleepers with what is essentially their own, undisturbed sleeping surfaces, the likes of which isolate restless movements throughout the night. Though the Balmoral Pocket Sprung Memory Foam Mattress serves as an excellent choice of mattress with the aforementioned design, it is also enhanced with such elements as the breathability enriching air vents that keep it fresh for longer and aid its overall longevity. The Balmoral Pocket Sprung Memory Foam Mattress is easy to keep fantastic for years, only needing to be rotated once every six weeks by using the hand-stitched handles. Hi, what is layered immediately under the memory foam, is it the reflex foam or the springs? Under the Memory Foam is the layer of Reflex Foam on the Balmoral 3500. That is followed by satin pads, then the springs, another layer of satin pads, and the outer cover. Hi, Could you let me know the height of the memory and reflex foam layers used in this mattress please? The Balmoral 3500 mattress has 25mm of reflex and 25mm of memory foam in its composition. Although it does contain memory foam, which usually increases the temperature of a mattress, The Balmoral is extremely breathable and contains air vents which helps to keep the mattress cooler throughout the night.